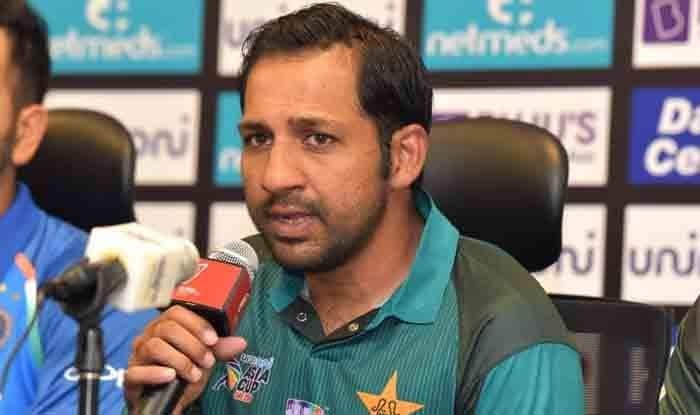 Suspended Pakistan skipper Sarfaraz Ahmed, who was caught making racist comments against a South African player, said Sunday he was hopeful of captaining the side after his ban ends. Sarfaraz was suspended for four matches by the International Cricket Council (ICC) for his racist comments against Andile Phehlukwayo during the second ODI in Durban on January 22. “It is the PCB which will decide about the captaincy. But I am hopeful and ready to learn from my mistakes,” Sarfaraz told reporters. Sarfaraz’s fate as Pakistan captain hangs in balance because of Pakistan Cricket Board’s (PCB) existing policy of naming captains on a series-by-series basis. Asked whether he was aware of PCB’s policy, the wicketkeeper-batsman said he was comfortable with the Board’s policy. He also declined to talk on the issue of leaving the Test captaincy. “Our next test series is eight months away let us talk about it when the time comes. As it is we will enter a new phase after the World Cup for sure,” he said. Asked if he would stop his constant remarks from behind the stumps, Sarfaraz explained that it’s part of his nature and captaincy style. “It is my nature to play cricket the way I do it. I cannot change my nature. I do captaincy in this way and if I change my nature it would hurt my game. I back my team all the time. I keep on talking from behind the stumps to back my team,” he said. Sarfaraz also dismissed reports that his teammates were unhappy with his behaviour and that the players gelled more under stand-in skipper Shoaib Malik in South Africa. “I don’t think this is the case, everyone is giving their best in the team. Whether I am captain or Shoaib Malik everyone is gelled and giving 100 percent,” he said. He said he was unhappy with those who had exaggerated his use of one word to create an issue. After the incident came to light, Sarfaraz personally apologised to Phehlukwayo. He said the South African was more upset with the inappropriate comments directed to his mother. “I explained to him that as Muslims, it is our belief … Any player in our cricket team has reached here because of the prayers of his mother,” Sarfaraz said. He added that he had informed Phehlukwayo that he was there to apologise for using the racist term but maintained he did not say anything wrong about his mother. “What I said was wrong and I did whatever could be done to rectify the situation. I did what had to be done under ICC rules and regulations. I came back because it made no sense to stay back in South Africa.